Rectangular stickers are some of the most popular items in the category. 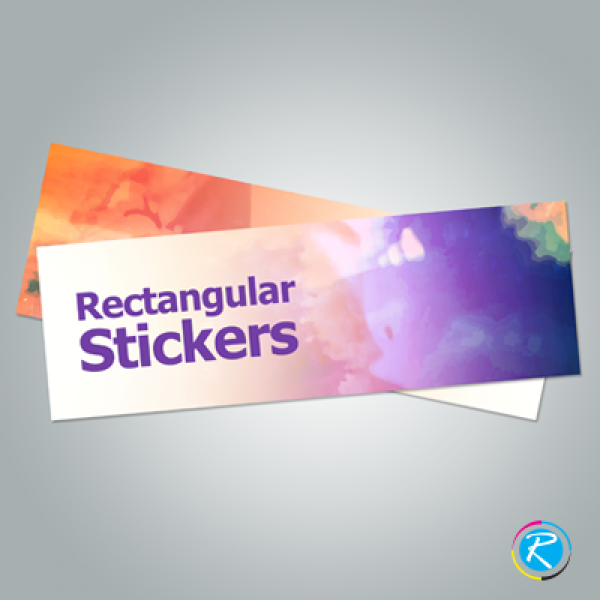 They are not a particular type of sticker; instead, you can introduce rectangular size in any type of stickers. For example, your custom vinyl stickers, outdoor and folder stickers can be printed in rectangular shape. They are printed in small, custom, standard and large sizes as per the needs, requirements, specifications and budget of the business. 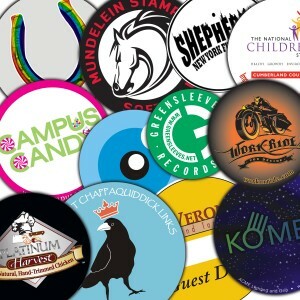 -- Please Select --2" x 4"3" x 6"
Rectangular sticker labels are popular in the category of promotional sticker printing solutions. In this regards, we can see them being used in various campaigns and professional awareness development exercises. Being a dynamic item; they are printed in various shapes and sizes. Large sizes are used for bumpers, vehicles and other outdoor activities while the smaller and standard items are preferred for indoor usage. However, it is entirely up to your needs, whatever product suits you; you can get it for the campaign. In this regards, you can bring your specifications and other details of product, which will help us decide about the product's ultimate design. 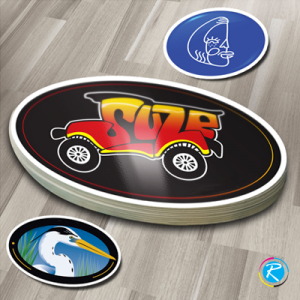 You can get rectangular sticker size for your indoor as well as outdoor activities and can reshape any type of sticker into rectangular. 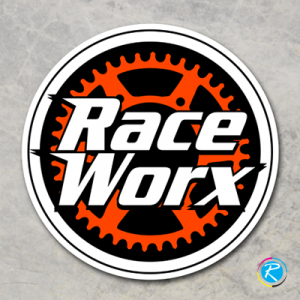 For example, you are to print bumper stickers; you can get them in rectangular size. The same applies to vinyl stickers, car stickers, outdoor stickers etc. as they can be shaped into round as well as rectangular shape. At RegaloPrint, we are more than pleased to help you in promoting your business, brand and service. Our quality designs are very popular across United States with small as well as large organizations being part of our valued customer base. You can contact our customer support with the list of your product requirements and get the order back within record time. 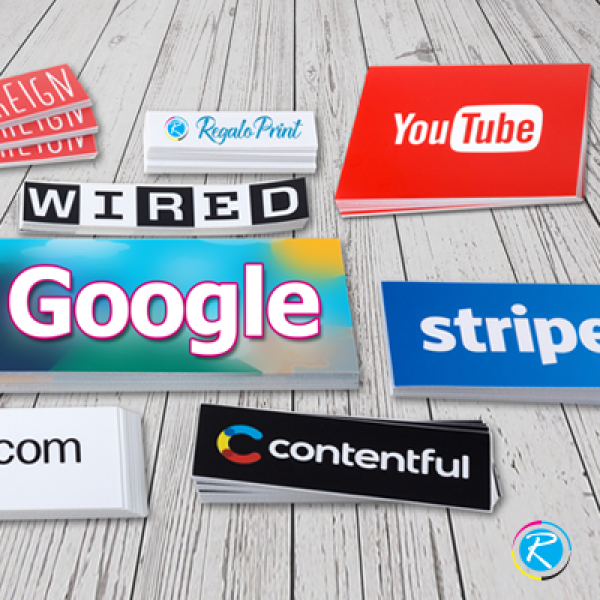 We guarantee that our custom rectangular stickers will revamp your marketing campaign and help you gain significant positive results. We are committed to provide you quality results at low-prices. You can compare our prices with the rest of service providers and can easily see cost advantage that we possess over the rest of industry operators.